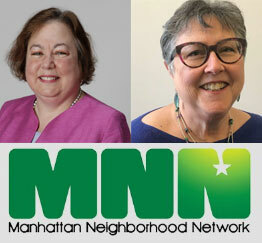 Susan Lerner of Common Cause/NY is one of the leading government reform advocates and activists in New York. With a recently-passed state budget largely missing any ethics, campaign finance or voting reforms, and a slate of special elections scheduled for next week, Lerner joined the podcast to discuss what is broken and how it should be fixed. Lerner explains that the political parties have a "stranglehold" on elections in New York, that the state Legislature is clearly not doing the will of the people on key issues like voting and bail reform, and that state government is being "unresponsive" to the plague of corruption. Lerner also weighs in on issues in New York City around the recently-called charter revision commissions, one by the mayor and one by the City Council, calling it "absurd" that there will be two and expressing hope for a merger. Beyond criticism, though, Lerner provides many thoughts on what should be happening in New York. The Charter is the city’s seminal governing document, laying out the powers and functions of every level of city government. It is also a living document, and state law allows the mayor to create a 15-member Charter Revision Commission under his executive authority and also gives the City Council power to create one through legislation. Past mayors have availed of this power, some more than once. 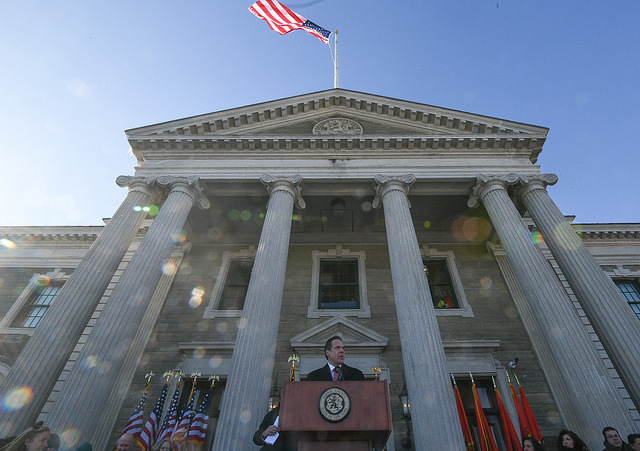 In February, de Blasio announced at his State of the City address that he intended to call a commission that could put proposals on the ballot for the November general election. As opposed to the mayor’s commission, where he appoints all 15 members, the James-Brewer bill would allow other elected officials a say in the process. The mayor would get four appointments, as would the City Council speaker. 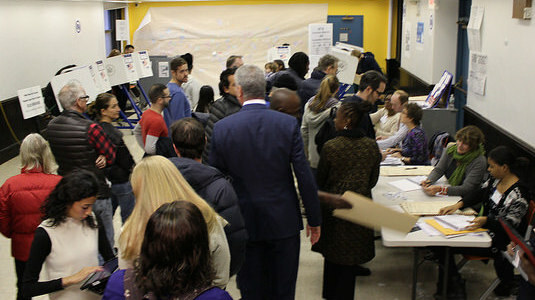 The five borough presidents, the public advocate, and the comptroller would each get to choose one member. An updated version of the bill grants the Council speaker the power to appoint the commission’s chair, a change that coincided with Johnson signing on as a co-sponsor and the Council pushing ahead with Friday’s hearing. James, in her opening statement, lauded the mayor’s intent in creating a commission but said it suffers from the same problems as previous commissions: “predetermined conclusions, a narrow focus on issues within Council authority, and a timeline far too tight to do the job right.” During his State of the City and since, de Blasio has indicated he wants his commission to focus on campaign finance and electoral reform, though he has acknowledged that by law the commission can look at the entirety of the charter. “The bill you will consider today...is a vehicle for a truly democratic and holistic process,” James said. Although both James and Brewer spoke of changes to the charter that they would be glad to see -- for instance, a stronger role for the Council in city budgeting, a greater voice for communities in land use decisions, enhanced oversight of city agencies -- they emphasized that those were not mandates that their proposed commission would be charged with. (Perhaps the only issue that James said she would not want on the table is changes to term limits for elected officials.) Rather, they would empower a commission to deliberate on the entire charter with ample time to consider the ramifications of any changes -- their commission would make proposals to go on the ballot in 2019. “Those discussions will not be had if the mayor simply appoints a slate of proxies and tells them what conclusions to reach,” said James, a Democrat like de Blasio, Brewer, and Johnson who is widely expected to run for mayor in 2021. James and Brewer also sought to dispel the notion that the commission they are proposing would competing with the mayor’s, pointing to the 2019 timeline and noting that they invited the mayor to join their effort. “This does not need to be a zero-sum game, or even a competition,” James said. Brewer, in particular, emphasized that past commissions had been formed by mayors to fulfil particular agendas and that appointees of the mayor were unlikely to consider proposals that could curb, in any way, the power of the mayor’s office. “I think all of our ideas would benefit from the give and take and compromise that would be necessary in a commission not controlled by any one elected official,” she said. Council Member Fernando Cabrera, chair of the committee, praised the bill and said he supported it because it was a “far better approach” than the mayor’s. “It will be a charter revision for everyone,” said the Bronx Democrat. But, Council Member Kalman Yeger, who was just elected to the Council in November, wasn’t sure about the proposal. “My perspective is that I have some discomfort with outsourcing my work, if you will, to an unelected body of 15 people,” he said, noting that though the speaker may get appointments on a commission, the other 50 Council members would not. 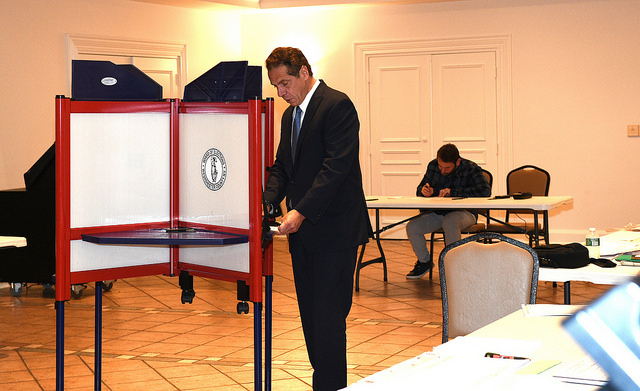 He also raised concerns about proposing ballot referenda in 2019, an off-year in the election cycle when voter turnout is expected to be extremely low. James pushed back against those concerns. “I believe we should democratize this process,” she said, acknowledging that all the stakeholders in the commission would have to work hard to engage voters and generate interest in the revision process. Yeger, a Brooklyn Democrat, also pointed out what is most ironic about the two commissions: that they are being proposed by Democrats who ardently opposed holding a Constitutional Convention to examine the state constitution, which was a question on the ballot last November. Both Brewer and James conceded that though they opposed the ConCon, as it was colloquially called, the charter revision process has sufficient checks and balances, particularly with diverse appointees on a commission. Representatives for the four other borough presidents also testified in support of the bill, as did a number of government reform groups and advocates. Stanley Fritz, campaigns manager at Citizen Action of New York, encouraged the Council to set aside funds for a public education campaign to engage voters in the charter revision process. 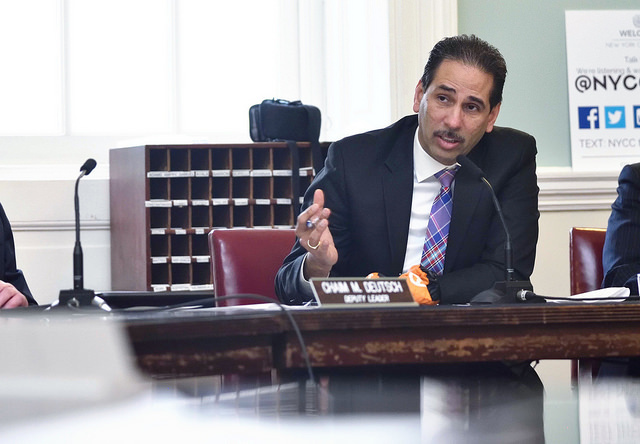 The bill currently calls for the Commission to hold at least one hearing in each of the five boroughs and to conduct extensive outreach to civic and community leaders. Fritz also advocated for amending the bill’s prohibition on appointing lobbyists to the commission, insisting that it should ensure that only lobbyists employed by for-profit entities should be barred, and that those who advocate for non-profits should be allowed to serve. 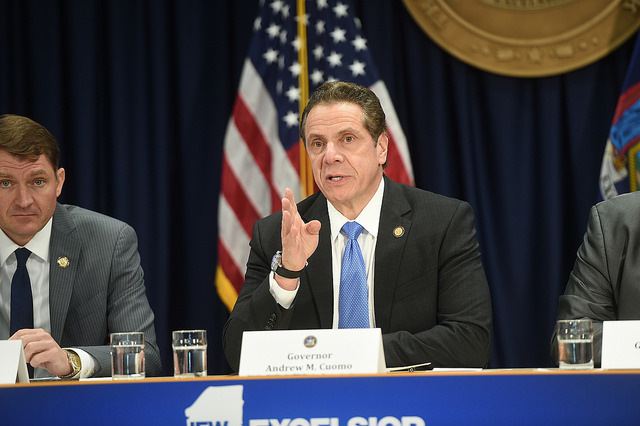 Otherwise, “it would exclude virtually the entire New York City good-government community, including the sorts of advocates who are testifying before you today,” he said. Doug Muzzio, political science professor at Baruch College's School of Public and International Affairs, has also testified before an expert panel of the 2010 Charter Revision Commission created then-Mayor Michael Bloomberg. On Friday, he emphasized that any new commission should “articulate clear and compelling goals” related to broad subject areas such as governmental structure and land use, without which it would be directionless. He also said the commission should look at the unfinished business of past commissions, and “beware the unintended consequences,” though he didn’t offer specifics. 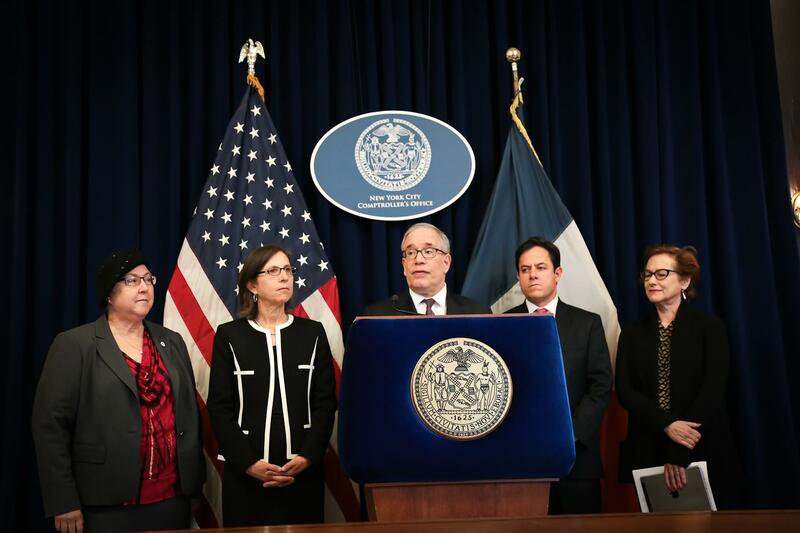 Susan Lerner, executive director of Common Cause New York, said the bill was “skeletal” and should add language to ensure that staff of those elected officials making appointments should be excluded from working for the commission. She also questioned why Speaker Johnson would be allowed to appoint the chair of the proposed commission, as opposed to the commission members choosing their own leader. 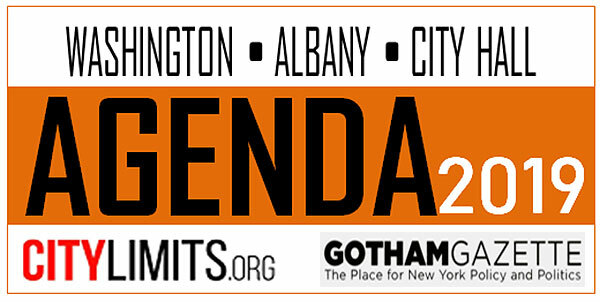 Alex Camarda, senior policy advisor for Reinvent Albany, had a few prescriptions for a potential commission. He said the speaker and mayor should jointly appoint the chair of the commission; and stressed that the commission should abide by the state’s Freedom of information and Open Meetings laws, and should require public posting of events, materials, reports and archives. He also suggested that the bill include language requiring commission members and staff to solely use government emails to carry out their work and that any lobbying directed at the commission should be publicly reported. “There is no doubt two commissions convened in the same year would be unprecedented in recent memory and create a high degree of uncertainty,” he said. The city’s campaign finance system is held up as a national model that incentivizes small dollar donations by matching them with public funds. Each qualifying contribution up to $175 is matched 6-to-1 by the city, through the CFB, allowing candidates with a lack of access to personal wealth or deep-pocketed donors to run competitive campaigns. Currently, the CFB only matches public funds up to 55 percent of the spending limit for a particular seat. For instance, in a City Council race, for those participating in the matching system, the 2017 spending limit is $182,000 each in the primary and general election, so a candidate could receive up to $100,100 in public funds by raising about $16,800. Intro. 1130-A, co-sponsored by Council Members Kallos, Brad Lander and Fernando Cabrera, would increase that public funds payment to a full match against the spending limit, minus the amount of matchable contributions raised by the candidate. Effectively, a Council candidate who raises $26,000 could receive a maximum of $156,000 in public funds, for a total budget of $182,000 (in the primary and/or in the general). If passed by the Council and signed by the Mayor, as written the bill would go into effect in 2018, after this year’s municipal elections. 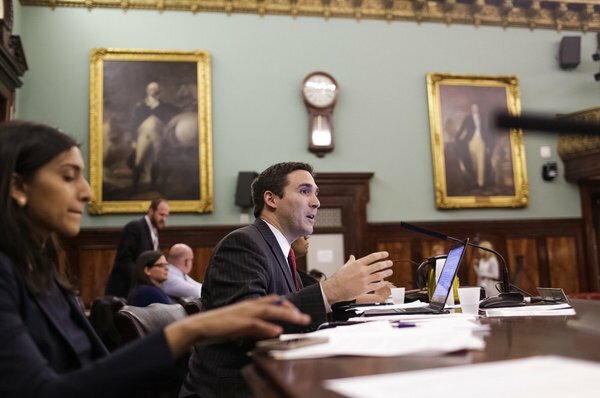 The hearing drew a large audience outside of the usual good government advocates, including tenant and community preservation groups, immigrant advocacy organizations, NYCHA residents, current City Council candidates, and women’s groups. “This is because no matter what your cause, the road to victory starts with campaign finance reforms that amplify the voices of residents over special interests,” Kallos said. Amy Loprest, executive director of the Campaign Finance Board, said the bill would have a significant impact on future elections, albeit with a moderate increase in costs, about 17 to 20 percent. In 2013, she noted, 129 council candidates received public funds, and 83 of them received payments within 10 percent of the maximum. 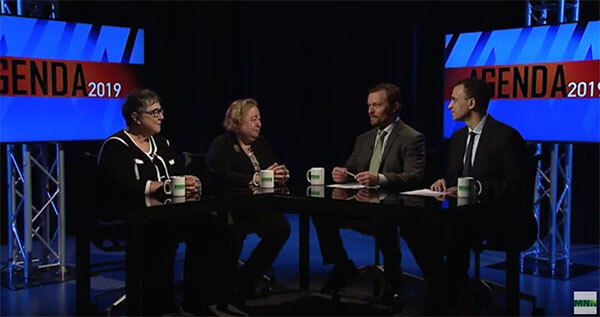 In citywide races, however, she said the impact would be minimal since candidates tend to rely on larger contributions, and it would in fact aid established candidates with stronger small-dollar fundraising operations. Loprest said the Board agreed with the aims of the bill, but she offered a number of alternatives that could effectively accomplish its goals and even go further. She suggested lowering contribution limits across the board, reducing the thresholds for qualifying for public funds, and floated the idea of higher matching funds for those who choose to only receive small-dollar donations. 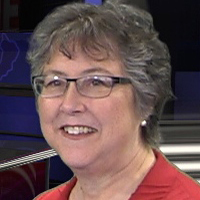 She also pointed out potential inadvertent consequences of the bill, noting that there are strict criteria for qualifying expenditures under the public funds program, and more public funds could make it harder for candidates to justify spending on non-qualifying purposes such as defending a ballot petition in court. Candidates would also have to repay higher amounts of public funds left over after a campaign. 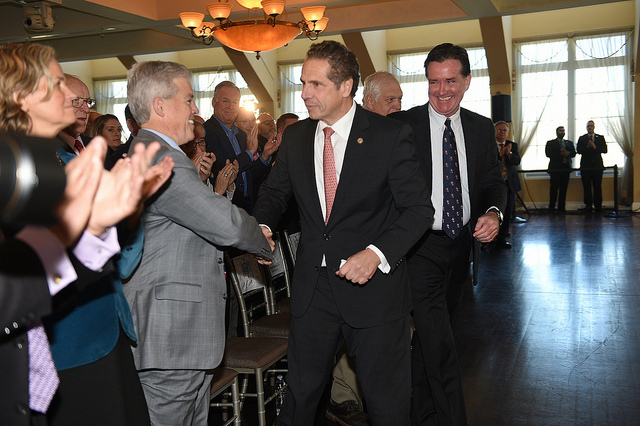 A number of government reform advocates came out in favor of the legislation including Common Cause New York, EffectiveNY, Reinvent Albany, and Demos, among others. “It’s very clear that the campaign finance system here in New York City has successfully encouraged more small-dollar contributions,” said Susan Lerner, executive director of Common Cause New York. “but for the long range goal of diminishing the power of large contributions, it is not as successful as we would like it to be.” She said Intro. 1130-A would be a “significant and strong first step” in strengthening the system.